The simming pool is 6 x 12m and has a sloping floor till 1.8m deep. The swimming pool is accessable from the 3 the rooms. It is secured with a child alarm. On ground floor, there is a large living room with flat screen TV; large dining table for 12 persons; a practical kitchen with dishwasher and all necessary kitchenware, washing machine. 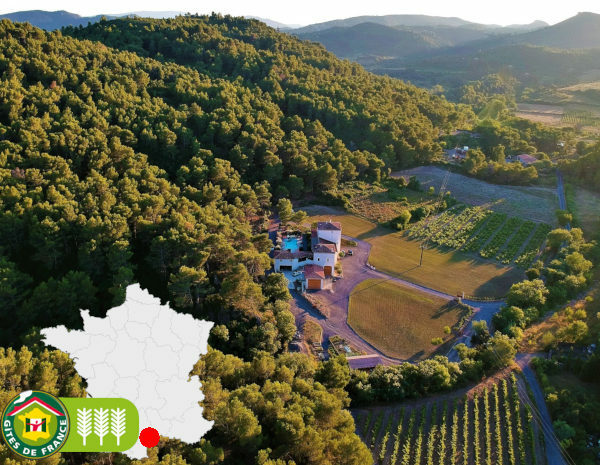 It is our great pleasure to welcome you to our holiday resort, situated in its own acres of quiet countrysite within de Corbières wine region and close to the Spanisch border and Mediterranean beaches. The Corbières is one of the most beautiful regions in Southern France, known for the presence of many Cathar castles. Our aim is to offer an unforgettable stay for all our guests: providing each morning an abundant and tasty continental breakfast. Then guests can relax near our swimming pool, enjoy the gaming opportunities such as “jeux de boules” and darts, or the simple pleasure of drinking a tasty glass of local wine. These accommodations are on the ground flour and are meant for 2 to 4 persons. They consist of a living room; a kitchen equipped with a dishwasher and all the necessary kitchenware; a bedroom with a double bed complete with sheets and blankets; a bathroom with toilet and shower. 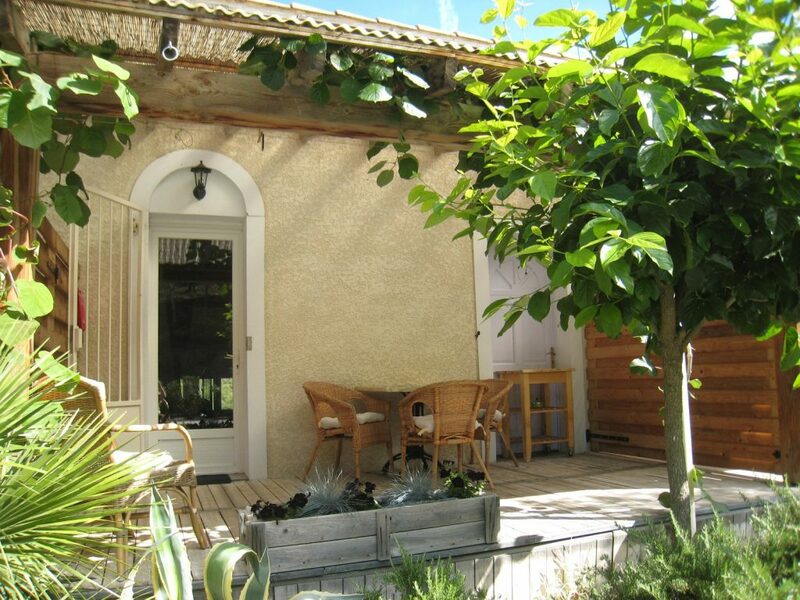 The Grenache accommodation is a family-gîte. On ground floor, there is a large living room with flat screen TV; large dining table for 12 persons; a practical kitchen with dishwasher and all necessary kitchenware, washing machine, ironing board and iron; a bathroom with shower and toilet. Villa Nouguies is located in the beautiful village of Durban-Corbières, with its Cathar castles and 30min drive from the Mediterranean Sea. 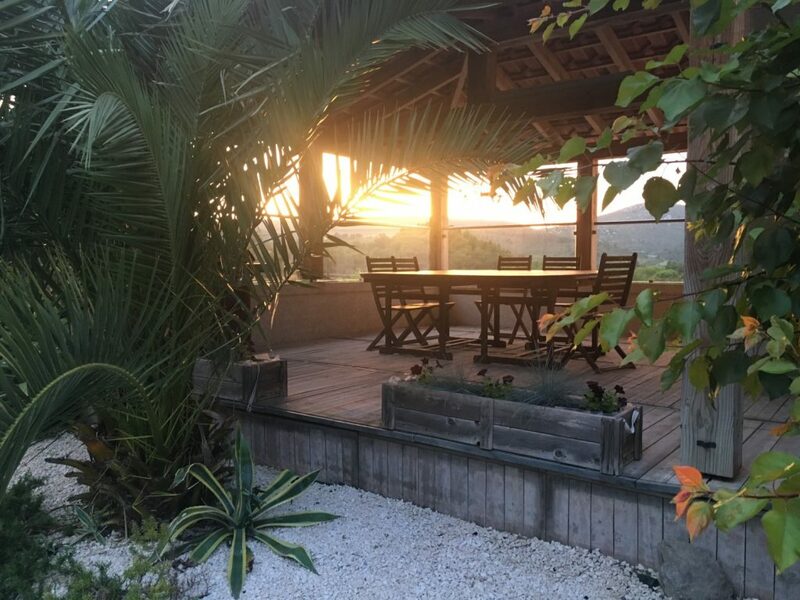 Villa Nouguies is a holiday home for 6 people, equipped with all comforts, with a spacious terrace overlooking the old castle and a private swimming pool.